Nehru Jacket and the Indian Bride-What’s the Connection? A wedding is a one-time affair in our lives and hence, it should be a grand affair in which the bride and the groom should be the cynosure of all eyes. The wedding dress of bride should be something she is comfortable in, the fabric of the dress should be chosen accurately as this plays very important role in this. The wedding day is the most important day for a bride. And according to the people of India, A girl takes a rebirth after her marriage so to make this “THE DAY” the best and most memorable day for her life, her outfit; her wedding dress plays the main role. Now, earlier women used to like fully embroidered and heavy dresses for her but today brides prefer simple yet trendy dress as her wedding dress. To solve this problem “Nehru jacket” comes as a savior. For brides, who want some classy yet simple stuff for her wedding can give this Nehru jacket a chance, and you will not surely regret it. 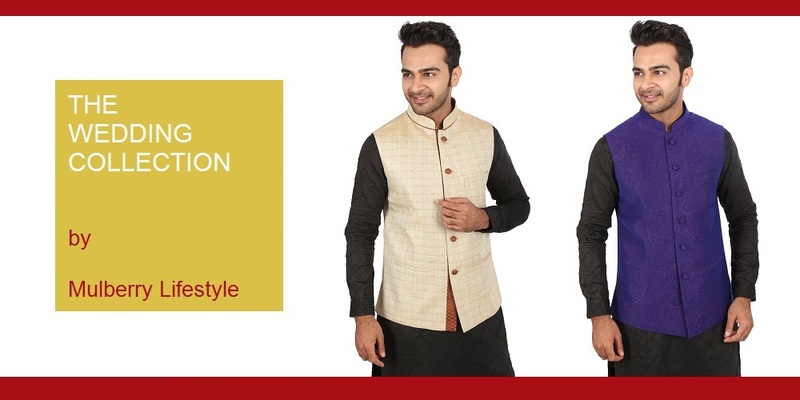 Embroidered Nehru jackets are also available in the market these days. You can go for them also. Even celebrities are seen wearing Nehru jackets. So, yes they are actually in trend. Nehru jacket is not only for males but females can also wear it. Brides can wear Nehru jacket as a counterpart on their lehengas. Brides can buy a heavy lehenga and can team it with Nehru jacket and a duppata and this look will make you stand out from the crowd. 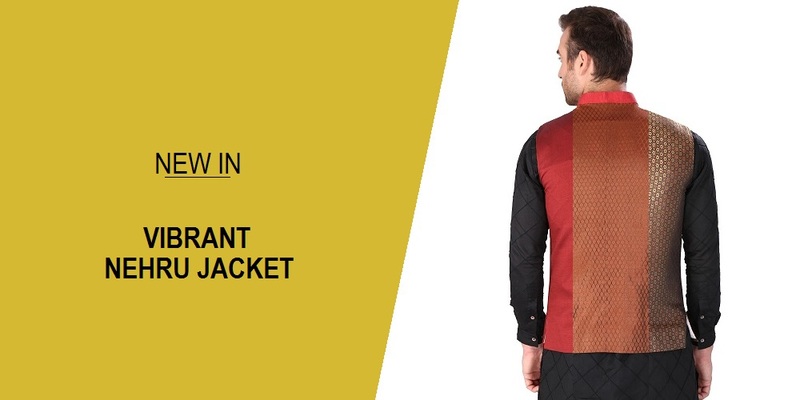 So, this is so stylish style and you can try it by saying bye to blouse and hi to these super comfortable Nehru jackets. This look will look so bold and ravishing that people are going to turn their head to see your bold and stylish look. A bride should have a unique and pretty look which she can get by wearing Nehru jackets. Suit, gowns, lehengas, sari need to be recreated; women are wearing all these as an ethnic wear from such a long time. But now is the time to create a new looks from these all. A look which will spice up the entire traditional look. Earlier as mentioned above, Nehru jacket was considered only for guys but girls are ahead in every category and even here, when a girl will wear Nehru jacket with light makeup it is going to look more stylish and pretty. A bride wants to look different and sometimes, she thinks a lot what to wear, what will match this outfit but Nehru jacket is so convenient that it goes with everything which means no need to worry and no need to think a lot because Nehru jacket is a new trend which will stay here for long and this is the right time to give it a chance. We are about to launch our new collection of Jackets for Men, made of natural, handwoven fabrics by local weavers in Jharkhand. The fabrics selected by us are mostly pure silk or silk blended with cotton, in early pastel shades. We need your help in giving a name to our New Collection. Help us find a name for our new collection and one of these Jackets can be all yours. You can send us your suggestion simply by replying to this email or make a post of twitter or facebook by tagging us. You can find us by clicking here on twitter and facebook. Brocade is a class of richly decorative shuttle-woven fabrics, often made in colored silks and with or without gold and silver threads. The name, related to the same root as the word “broccoli”, comes from Italian broccato meaning “embossed cloth”, originally past participle of the verb broccare “to stud, set with nails”, from brocco, “small nail”, from Latin broccus, “projecting, pointed”. Brocade is typically woven on a draw loom. It is a supplementary weft technique; that is, the ornamental brocading is produced by a supplementary, non-structural, weft in addition to the standard weft that holds the warp threads together. The purpose of this is to give the appearance that the weave was actually embroidered on. This festive season, we bring you a range of vibrant and colorful Nehru Jacket made using finest quality Brocade Fabric. The Jacket is available in Burnt Orange, Golden White, Golden Maroon and Paisley prints. Dupioni (also referred to as Douppioni or Dupion) is a plain weave crisp type of silk fabric, produced by using fine thread in the warp and uneven thread reeled from two or more entangled cocoons in the weft. This creates tightly-woven yardage with a highly-lustrous surface. It is similar to shantung, but slightly thicker, heavier, and with a greater slub (cross-wise irregularity) count. This festive season, we bring you a range of vibrant and colorful Nehru Jacket made using Dupion Silk of the finest quality. The Jacket is available in bright colors like Pink, Sand, Orange & more.